ITIL v3 certification levels are: Foundation, Intermediate, Expert and Master. Service Strategy: Why would the customer buy information technology services and what are their exact, core needs in terms of the end goal they seek through purchase of your unique service offering. What will be your company's strategic advantage in providing services to the customer? Utility is what the service does for the customer. ...... Remediation Planning Knowledge Management includes the business information collection from data and sharing through various mediums. Powerful PC Monitoring and Surveillance! Drive monitoring and failure prediction to monitor your hard drives. Back up your movie with Full-Disc, Movie only, Split to 2 DVD, and 1:1 copy-mode. Qweas is providing links to ITIL V3 3.0 as a courtesy, and makes no representations regarding ITIL V3 or any other applications or any information related thereto. Any questions, complaints or claims regarding this application ITIL V3 3.0 must be directed to the appropriate software vendor. 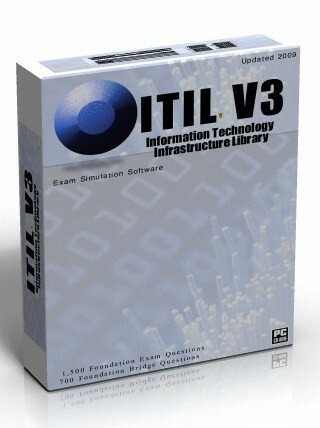 You may click the publisher link of ITIL V3 on the top of this page to get more details about the vendor.